Simon Moir is Senior Vice President and General Manager of Digital Mortgage of eOriginal, the leading platform for creating, managing, and monetizing trusted digital loans. 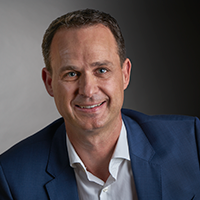 Simon focuses on the advancement and execution of eOriginal’s mortgage growth strategy, including the product roadmap, business development, sales and solution delivery. During his career, he has worked for both privately-held companies and specialty divisions of larger publicly-traded organizations. Previously, Simon served as Senior Vice President of Business Development at Savana. Prior to Savana, he was the Senior Director of Mortgage Technology at CoreLogic. Simon joined CoreLogic through its acquisition of Dorado, a successful, privately-held mortgage technology company based in the Bay Area. Simon’s depth of knowledge and experience in the mortgage industry is unparalleled and he fills an integral role on the eOriginal team by helping guide expansion with innovative strategies. Originally from New Zealand, Simon holds a Bachelor of Science in Chemistry from the University of Canterbury.